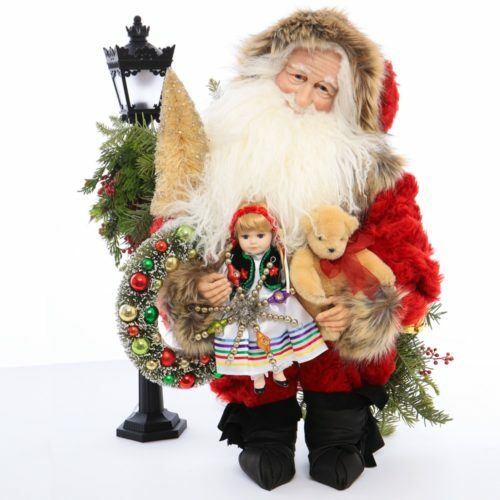 Enchanted is a 26 inch bright and cheerful Santa perfect for the collector who has plenty of Santa’s dressed in traditional colors. 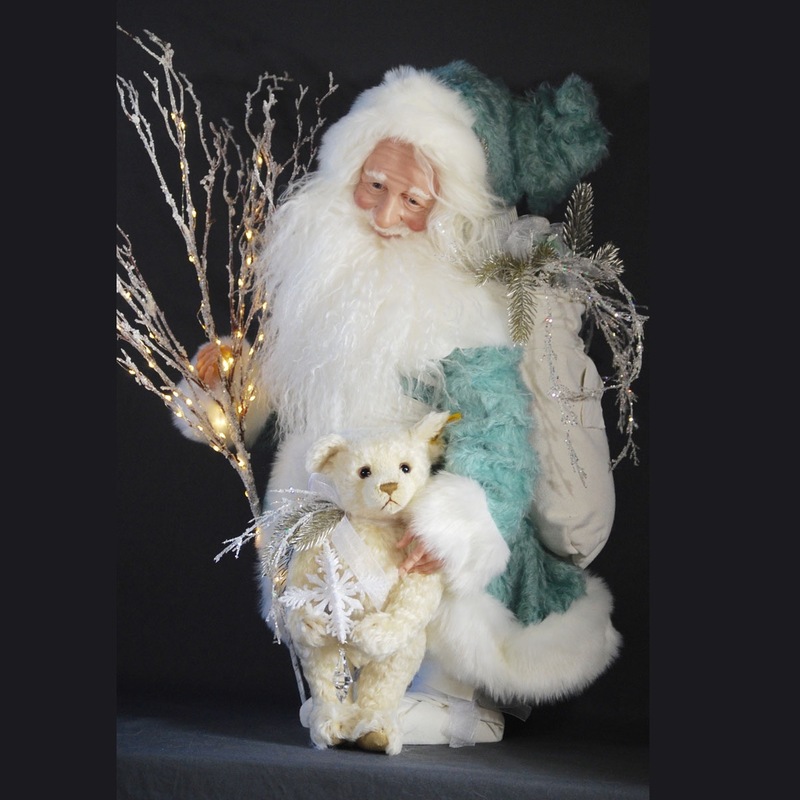 Enchanted’s robe is a beautiful light teal blue mohair with luxurious white faux fur trim. 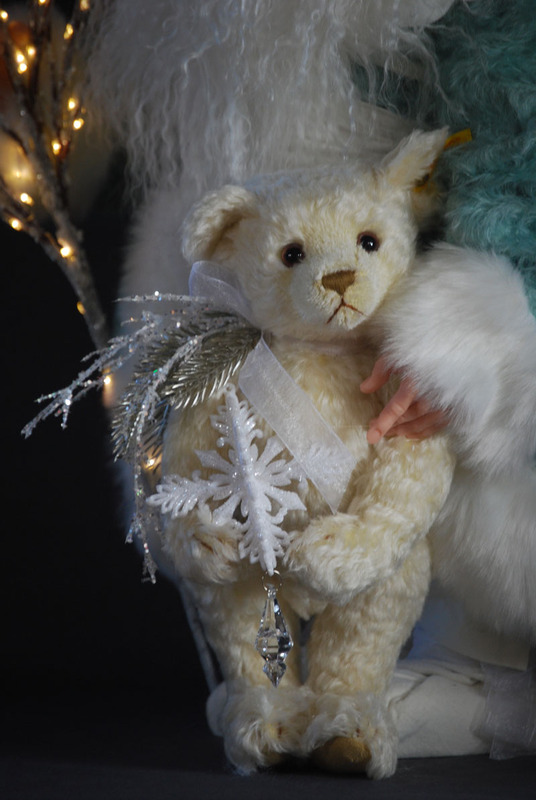 He is adorned by a vintage white mohair bear, a snow covered lit set of branches, and a large white suede bag of fabric wrapped packages and crystal twigs. 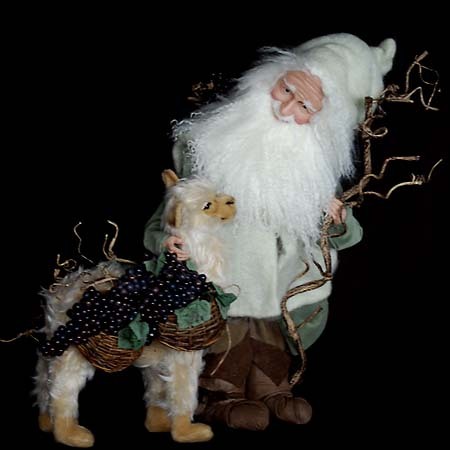 He has a hand sculpted face, with victorian blue eyes and beautiful hair and beard of Tibetan wool. His boots, bag and cummerbund are crafted with white pig suede. 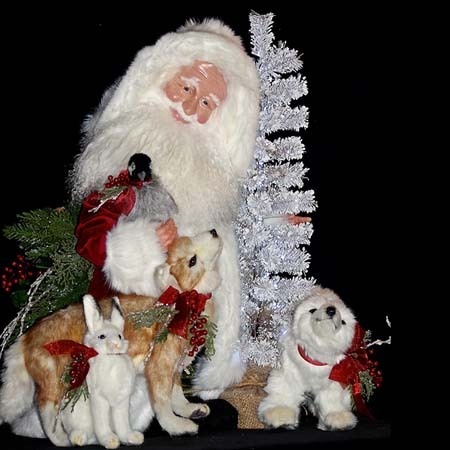 This victorian style Santa is so touchable and delightful. 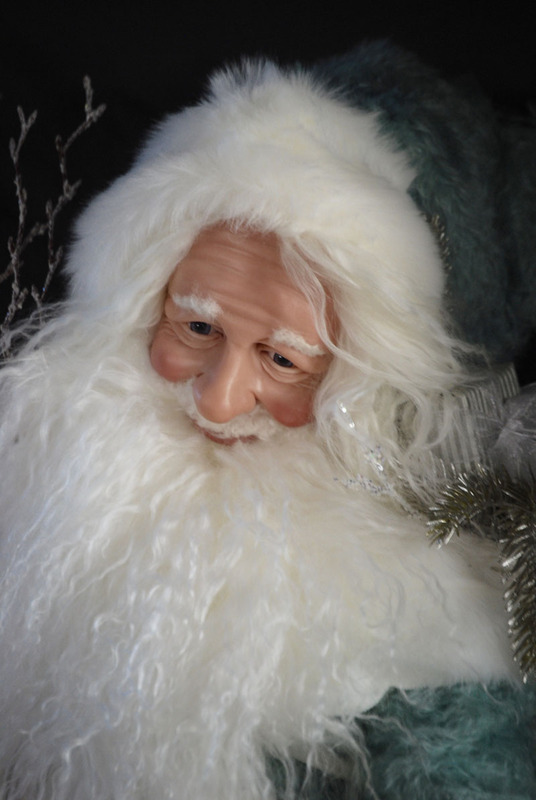 This frosty victorian Santa is signed and dated under his beard and is sure to be a wonderful addition to your Santa collection.